This post is based on World Bank’s review to its support to biodiversity conservation in Sub-Saharan Africa over the past decade (2003-2012). This report presents key lessons and directions for the Bank’s future biodiversity-related investments. Ask any environment minister or park manager, and they will tell you that finding the financial resources to protect biodiversity has always been an uphill battle. As the threats to biodiversity are mounting, the need for resources has become ever more urgent: Habitat loss and degradation, invasive species, and overexploitation of species – including through criminal activities such as poaching – are conspiring to render conservation increasingly difficult. Add to that the accelerating impacts of climate change, and the task at hand already seems sufficiently overwhelming. However, global economic troubles have added an additional layer of complication, as governments the world over are tightening their purse strings and redefining their priorities. In the meantime, biodiversity is in precipitous decline in all four corners of the globe: Extinction rates are between 100 and 1,000 times higher today than they were before humans walked the earth. Nearly 20,000 species are on the IUCN’s endangered species list; some 1,450 of those have been added in the two years since 2010 alone. 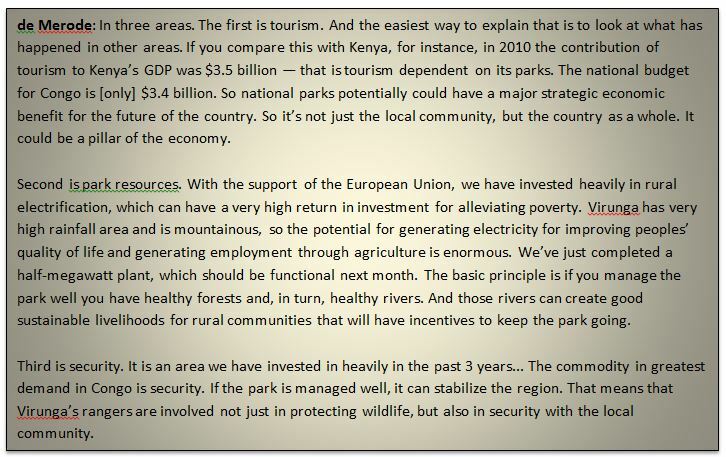 This is worrisome not only for the sake of nature, but also because conservation matters for development: Nature can be an important engine of green growth, whether by providing a livelihood basis for communities at the rural frontier, by feeding supply chains for business, or by fueling tourism. Given the uncomfortable marriage of ever more scarce resources and ever more critical demand for them, it is vital to identify conservation measures that are effective in a resource-constrained world. From the world’s highest mountain ranges to the lowland plains, and from the great oceans and coastal wetlands to agricultural landscapes, nations and communities rely on the bounty and services of natural ecosystems. Biological resources and the goods and ecosystem services they provide underpin every aspect of human life and livelihoods, from food and water security to general well-being and spiritual fulfillment. Sub-Saharan Africa is particularly well endowed by rich biodiversity resources that represent tremendous wealth at the local, regional, and international levels. Yet these resources are increasingly under pressure and threat due to land use change, rapid urbanization, poorly planned infrastructure development and resource extraction, illegal logging, wildlife poaching and trade, and other factors. The sustainable use and conservation of biodiversity is essential for poverty reduction and sustainable development. For example, some 10 million Africans earn their livelihoods in the fisheries sector (World Bank 2009). Tourism—most of which is nature-based in SubSaharan Africa—accounts for an estimated 5.8 percent of employment in this region (WTTC 2012). Genetic diversity provides the basis for new breeding programs, improved crops, enhanced agricultural production, and food security. Ecosystems provide a number of environmental services that are vital to human welfare. Many rural communities depend on fish and other wild foods, timber, fuelwood, and medicinal plants from natural ecosystems for their food security and income. Biodiversity conservation is a key component of environmental sustainability. How is Virunga generating value? 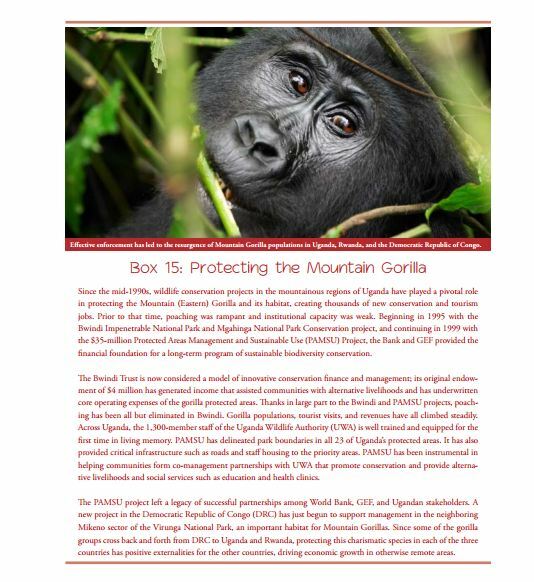 Biodiversity conservation in Africa [and Virunga] will need to take place in the context of rapid human population growth, increased local and international demand for natural resources, and new largescale infrastructure projects. Environment Strategy emphasizes the concept of “green growth,” in which renewable natural resources are sustainably managed and conserved to improve livelihoods and ensure food security and in which biodiversity is protected as an economically critical resource. 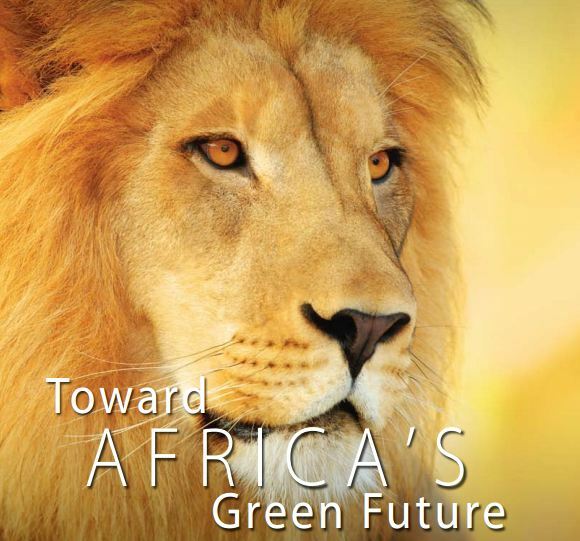 Going forward, it will be particularly important to demonstrate to the governments and people of Africa how biodiversity can be an engine of inclusive green growth and improved livelihoods, through greater appreciation of natural ecosystem services and enhanced opportunities for economic benefit-sharing. Future Prospects: Notwithstanding the rapid changes that will take place in Africa, there are still major opportunities to “get development right”—protecting and sustainably managing biodiversity and ecosystem services. 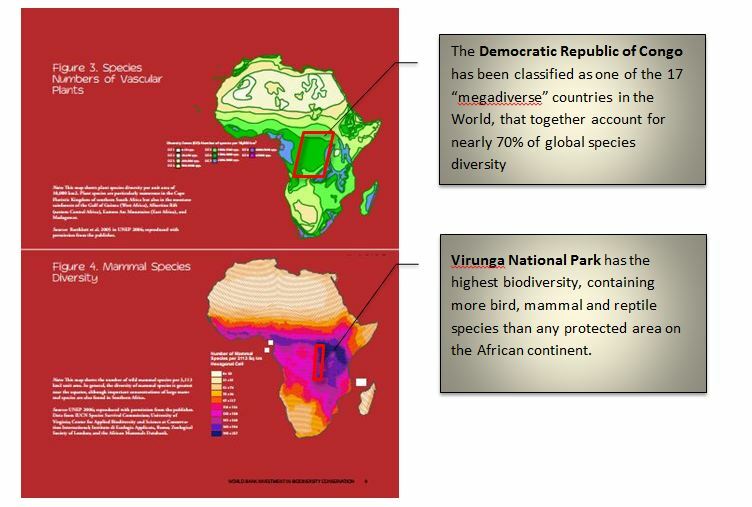 Sizable tracts of natural habitats remain in Africa. Moreover, much of the continent’s basic infrastructure is not yet in place; the potential still exists for it to be developed with due concern for biodiversity, thereby avoiding some of the environmental mistakes that have frequently been made elsewhere. ← OIL IN AFRICA PART TWO: Can DR-Congo avoid the Libyan Revolution?